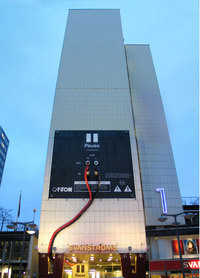 Electronics store Pause, located at the ground floor, cleverly transformed the skyscrape building into a speaker. More pictures here. Scroll down for some of the award winning adverts by their advertising agency ÅkestamHolst.